Off the Page examines the business and craft of screenwriting in the era of media convergence. Daniel Bernardi and Julian Hoxter use the recent history of screenwriting labor coupled with close analysis of scripts in the context of the screenwriting paraindustry—from “how to write a winning script” books to screenwriting software—to explore the state of screenwriting today. They address the conglomerate studios making tentpole movies, expanded television, Indiewood, independent animation, microbudget scripting, the video games industry, and online content creation. 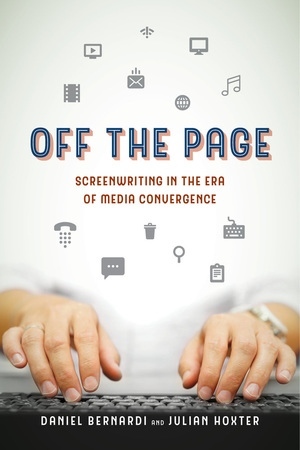 Designed for students, producers, and writers who want to understand what studios want and why they want it, this book also examines how scripting is developing in the convergent media, beneath and beyond the Hollywood tentpole. By addressing specific genres across a wide range of media, this essential volume sets the standard for anyone in the expanded screenwriting industry and the scholars that study it. Daniel Bernardi is Professor of Cinema in the School of Cinema at San Francisco State University. He is a documentary filmmaker, edits the War Culture book series at Rutgers University Press, and has published several books on film, television, and popular culture. Julian Hoxter is Associate Professor of Cinema in the School of Cinema at San Francisco State University. He is a produced screenwriter and has published three books on the history and practice of screenwriting.